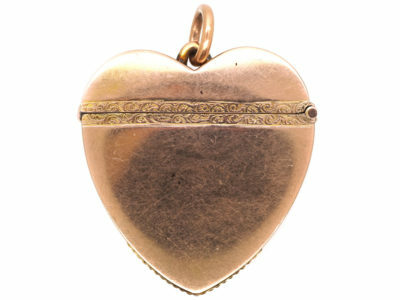 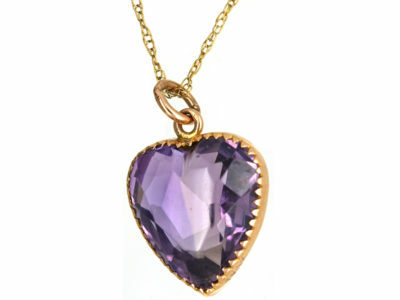 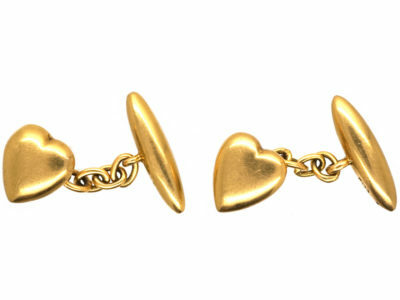 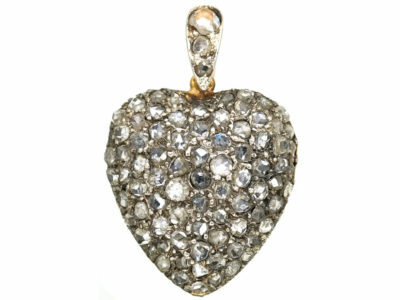 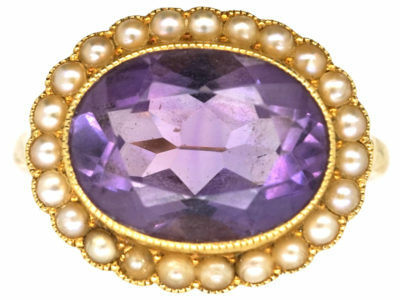 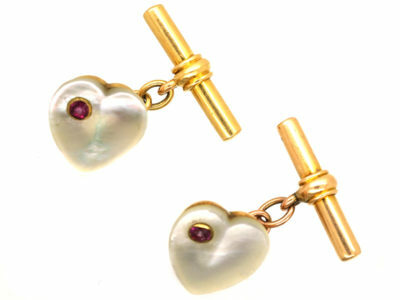 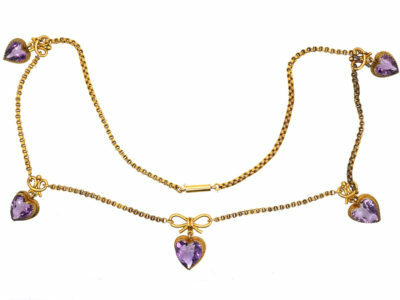 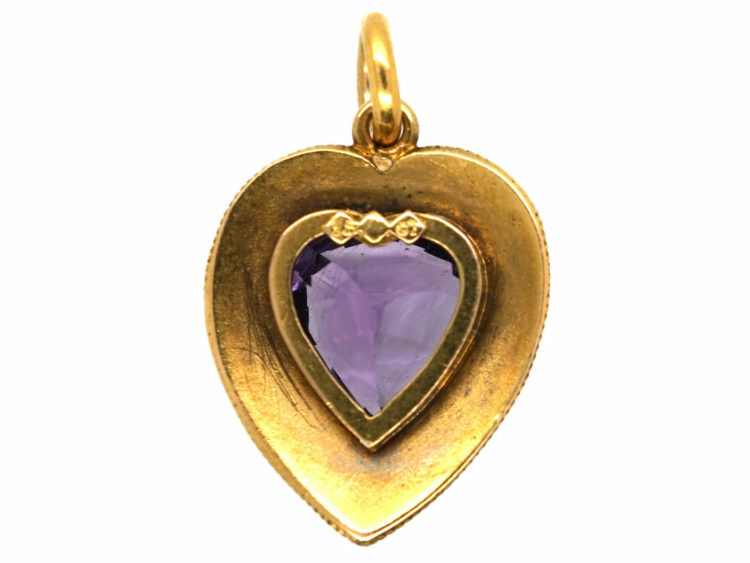 An unusual and highly detailed 15ct gold heart shaped pendant set with a heart shaped amethyst. 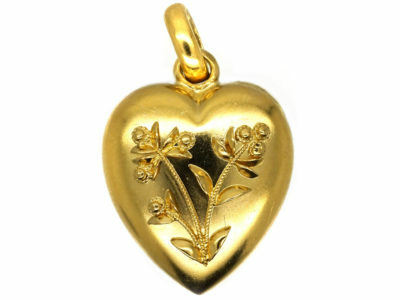 It has been hand applied with gold wire granulation and leaves and a flower. 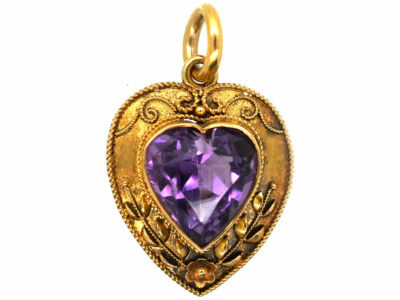 Amethyst has been highly esteemed throughout the ages for its beauty and legendary powers to stimulate, and soothe, the mind and emotions. 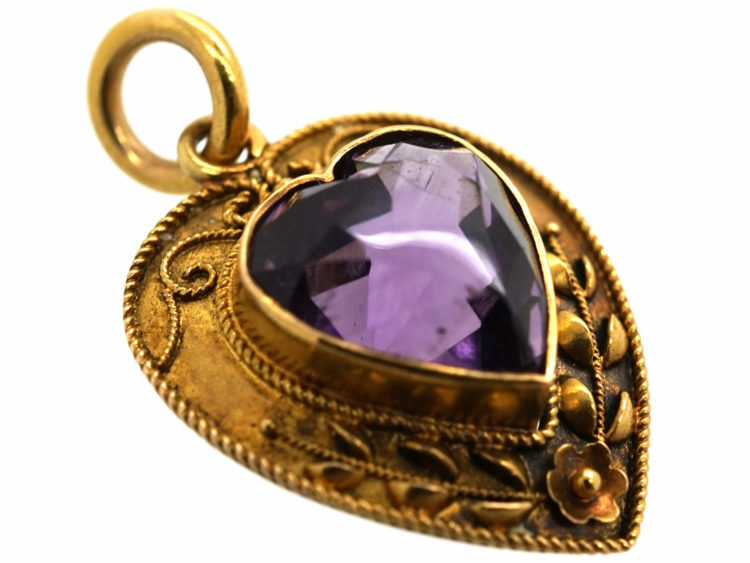 It is a semi-precious stone in today’s classifications, but to the ancients it was a “Gem of Fire,” a precious stone worth, at times in history, as much as a diamond. 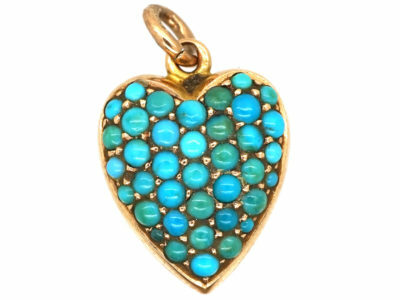 It has always been associated with February, the month the Romans dedicated to Neptune, their water-god, and is the traditional birthstone of that month. It is the stone of St. Valentine and faithful love, and signifies ecclesiastical dignity as the Bishop’s Stone. 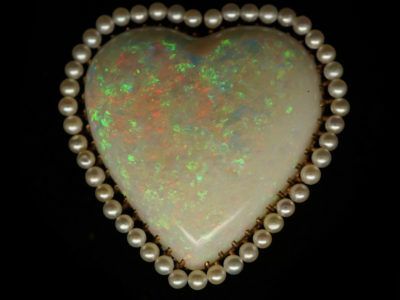 It carries the energy of fire and passion, creativity and spirituality, yet bears the logic of temperance and sobriety. 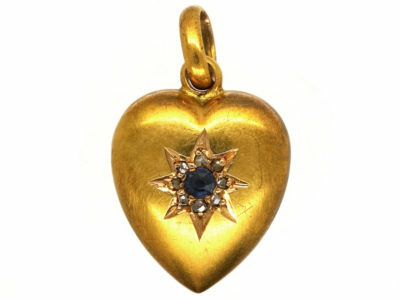 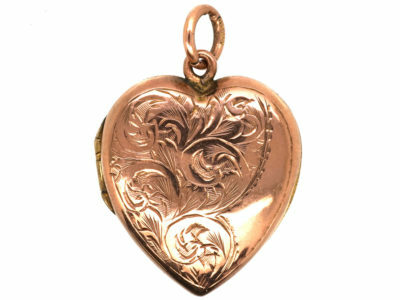 This pendant was made circa 1900-1910.